A technologist, entrepreneur and an avid advocate for children’s education, brings STEM For Kids to Miami to fill his purpose. 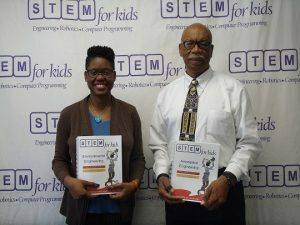 STEM For Kids Engineering franchise launches in Florida Miami Mack Samuel, a well-known figure in the South Florida community and public school arena, had his eyes set on providing a way to secure the futures of students by giving them the tools that they would need to function in an ever evolving society. As an advocate for education with many years of experience in the technology field, Mack understood that children need enrichment experiences, and exposure to STEM curricula at an early age. “Most current programs focus on older children, but with a new generation of millennials that have a high capacity for learning, I feel that sooner is better”, said Mack. Mack found the STEM for Kids franchise to be the answer. This way he can provide real world experiences while kids can have fun. Career preparation needs to start now because the opportunities for the future are immeasurable. With advancements in the medical field, aerospace, nautical and even education, technology is the pathway to a better way of living. South Florida is made up of families that have immigrated from the southern regions to create a better life for their children. “We want our children to have a place on the frontier of socioeconomic improvement. STEM for Kids provides engineering, robotics, programming and math workshops for young people at any skill level in a relaxed environment. No grades or tests, just learning, fun and technology”, he said. “We are excited to have Mack bring his vision and valuable experiences in extending the reach of STEM into Florida.” says Moni Singh, President of SFK Franchising Inc.
Inga Samuel, and elementary school teacher and the lead STEM Coach in STEM For Kids Miami, expressed her excitement in encouraging a love of science and math in young children and bringing quality STEM programs to underserved children. For media enquiries contact the STEM For Kids Miami office at 1(786)440 6534 or at flmiami@stemforkids.net. came upon your web site!